Movie tropes can affect the public’s perception of earthquake risk, and that’s no laughing matter, Philibosian argues. Not worrying at all is not really an option for Californians. The San Andreas fault stretches across almost the entire length of California, and large, destructive earthquakes like the 1906 San Francisco quake and the 1989 Loma Prieta event have given the Golden State its seismic reputation. 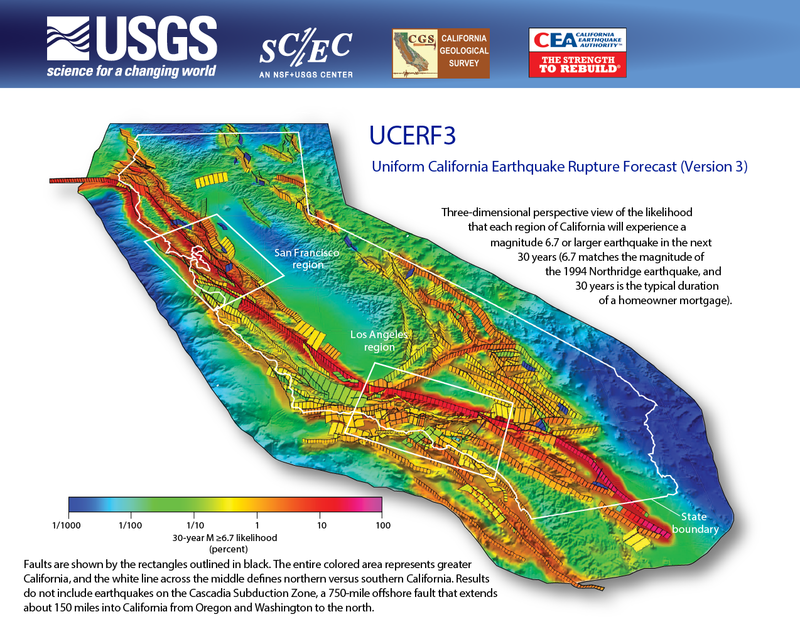 Reiterating the need to focus on earthquake preparedness, the United States Geological Survey recently released an updated risk map for California that raises the odds of a large quake (magnitude 8 or greater) in the next 30 years from 4.7% to 7%. The increased probability is largely due to updated models that take into account the interconnectedness of faults, and the new numbers highlight the inherent difficulty in predicting the exact timing and location of large earthquakes. They also make it clear that an impossibly large earthquake (magnitude 9 is just not in the cards for the San Andreas) on the most famous California fault isn’t necessarily the biggest threat to lives and infrastructure. For example, Hollywood might want to keep an eye on its own backyard, says Philibosian. San Andreas looks to be an action-packed disaster film, but if you want to know about the science behind the all-too-real danger, take a listen to the podcast before you head to the theater.